The talks for the normalization of relations between Kosovo and Serbia are expected to start this week. The issue of border correction which has been discussed between Kosovo’s president, Hashim Thaci and his Serbian counterpart, Aleksandar Vucic is still on the table, however, this idea is being strongly rejected by Kosovo’s PM, Ramush Haradinaj and opposition parties in Pristina. 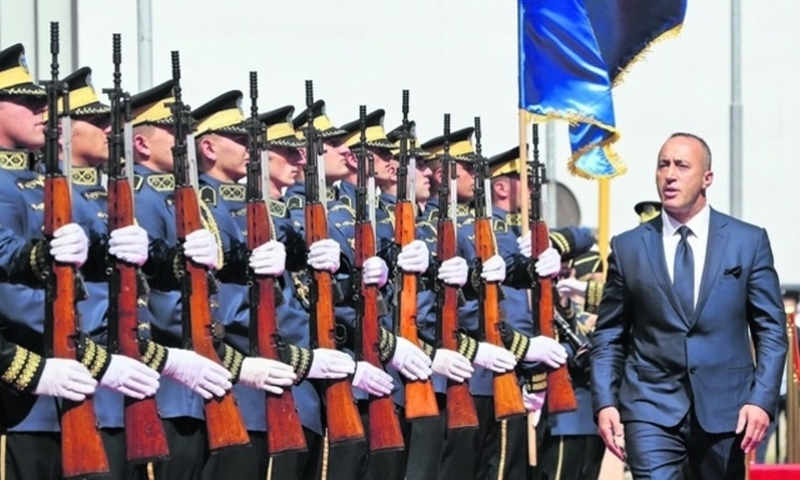 Haradinaj has declared that territorial swaps could reawaken old demons in the Balkans. “Border changes could turn out to be dangerous”, Hardinaj said. Leader of Self Determination Party, Albin Kurti has declared that president Hashim Thaci and his entourage are insisting on territorial swaps with Serbia. “If they put us in front of a fait accompli by signing a deal that affects Kosovo’s borders, then this will be met with massive protests”, Kurti said. Analysts in Pristina say that border changes between Kosovo and Serbia could have serious consequences for the region. Professor and analyst Gjon Culaj says that territorial swaps could reignite new conflicts in the region. “This will also be followed by demands from Albanians of Macedonia who will request cessation. The same scenario could also be seen in Sandjak and Vojvodina”, Culaj says. Culaj said that Kosovo’s parliament has approved a resolution regarding the talks with Serbia. According to this resolution, Kosovo must defend its sovereignty and territorial integrity. The resolution also states that the agreement should lead to a mutual recognition and Kosovo’s accession in the UN. Let us recall that talks between Kosovo and Serbia were suspended following the decision of the government to introduce new tariffs on goods coming from Serbia. Last week there was a strong reaction by the US and EU, who declared that if Kosovo does not suspend these tariffs, there will be serious repercussions for it.